Joel F. Pierce retired as a partner from Pierce Davis & Perritano LLP in June 2018 after more than four decades of practicing law. He now serves as of counsel to PDP, working on selected research projects. Mr. Pierce began practicing law in 1976 with the Boston firm of Morrison, Mahoney & Miller, where he became a senior partner. In 1998, he joined John Davis, Judith Perritano, and the Honorable Elizabeth Fahey in founding Pierce, Davis, Fahey & Perritano LLP, now Pierce Davis & Perritano. During his career, Mr. Pierce litigated cases in both state and federal courts throughout New England. Skilled in all phases of litigation from discovery, through trial and appeals, his experience spanned a broad spectrum of product liability and toxic tort cases, including consumer and recreational products, industrial products, aviation and transportation, chemicals and other toxic substances. In addition to product liability and toxic tort cases, Mr. Pierce also tried a number of cases in the areas of negligent security, liquor liability, police “excessive force”, construction, motor vehicle, premises liability, employment discrimination and commercial disputes. These trials included such issues as “pure warnings” cases, defect and causation, consumer protection violations, compensatory damages for brain damage and severe disability, and punitive damages for wrongful death. 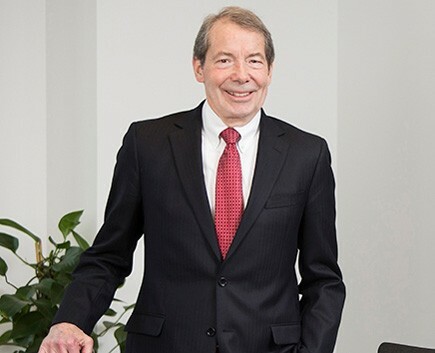 Recognized for his accomplishments by his peers and clients, Mr. Pierce has consistently received an AV rating from Martindale-Hubbell and has been listed in Super Lawyers and Best Lawyers. Mr. Pierce also fostered a spirit of giving at the firm through activities such as the annual AIDS Walk team and the Legal Food Frenzy to support the Greater Boston Food Bank. In honor of Mr. Pierce’s commitment to serving his community and mentoring those around him, PDP sponsored a Greater Boston Legal Services summer law student in Mr. Pierce’s name.